Another week has just flown by and it is November already! Really? It was just summer. I just can't keep up with father time at all. I have been busy the last few days painting on two projects. One you have seen and the other one is coming up soon. Now on to some features from last week. Thanks so much to each one of you who take the time to link up. 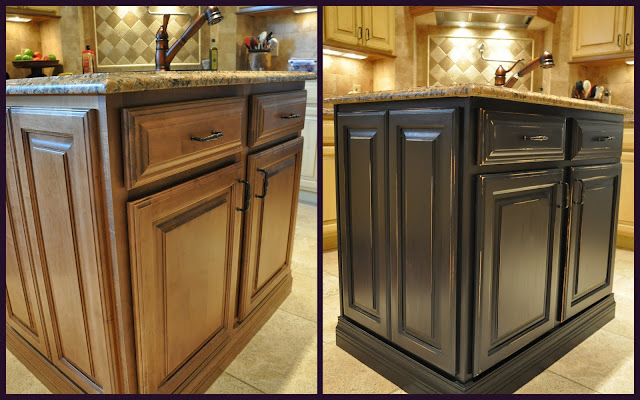 Jenny from Evolution of Style shares the tutorial on how she transformed this cabinet. Marcy of Antique Chase shares how she enhanced a vintage bread board. This is a beautiful autumn table setting by Barb of Bella Vista. I know a lot of us are thinking about our Thanksgiving tables that we will be setting up soon. 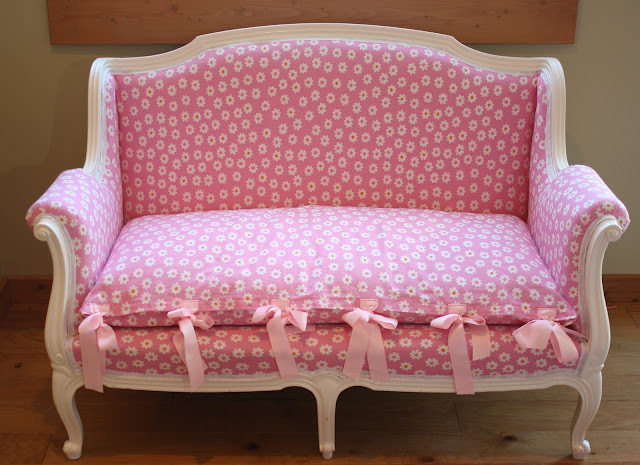 Isn't this just the cutest settee? Andrea of Willow Wisp Cottage found this on kijiji. June & Bear created these adorable jute pumpkins. Sandy of My Shabby Streamside Studio shares her meeting with Rachel Ashwell. I just want to curl up on this sofa with that quilt and drink a cup of hot tea. Love the red toile. Check it out at Sunny Simple Life. You must see the before of this very cute chair at Confessions of a DIYaholic. If you were featured I hope you will grab a Featured button on my side bar. Now show us some inspiration. 7. Don't link the same post that you posted the week before. Thanks for hosting Kim.. I like all the posts you featured.. I really like that stencil on the bread board. Thanks for hosting. Hi Kim, such great features this week. How much fun for Sandy meeting Rachel Ashwell. Thanks for hosting. Lovely features - lots of creativity! Thank you for hosting! Thanks for hosting Kim...Have a great week! Thanks for having us over Kim. Thanks for hosting, Kim. I'm looking forward to checking out lots of links. Great features, Kim. Thanks for being a lovely hostess! Just linked up, off to check out the features! thanks for hosting, Kim! Lots of great features this week! Isn't there an amazing amount of talent out there? I love that they share with us :) Thanks for hostessing the party this week! Thanks for hosting Kim!! Enjoy your week! Thanks for hosting this party! I always enjoy it. Wonderful features Kim, great choises! Thank you so much for hosting again and for having me. Thanks for hosting...great features...esp loved the last chair! Thanks for having me today Kim. I've linked up a yummy salad recipe. Thanks for hosting Kim. So much inspiration to be seen out here. Loved that chair! Thanks for hosting, Kim. I'm off to visit! 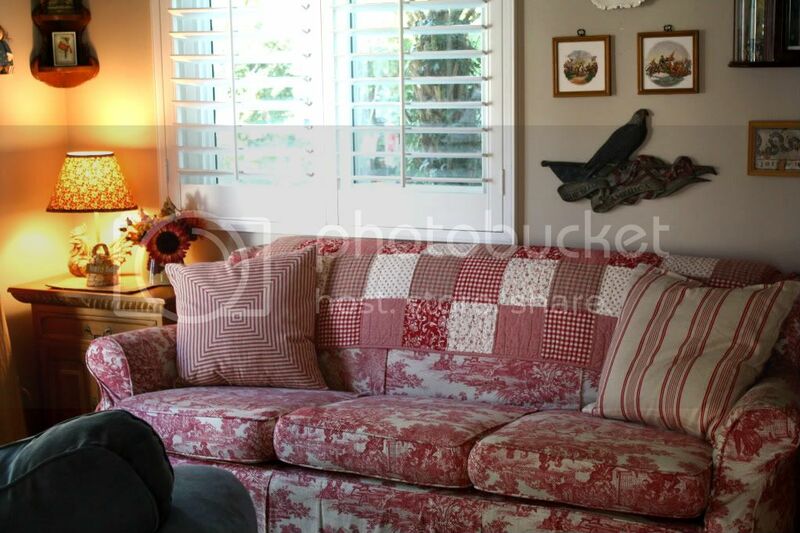 I just adore that toile sofa...like you, I'd love to curl up with tea or cocoa and a good book! Thanks for hosting, I love the features! Cute stuff! Thanks so very much for including me with so many great features this week. And thanks for always hosting. Thanks again Kim! There are always great posts over here! I can't believe it's Nov. either! Such lovely features. Those jute pumpkins are just adorable and the chair...fabulous! Wow, you know how to pick them!! I love those little jute pumpkins too! Must go for a look around! Kim, what great features! Thanks for hosting each week! I'm officially a regular! Thank you once again for hosting! I'm off to visit the other guests! Great Features!! Thanks so much for hosting! Great features Kim. Thanks for hosting the party! Beautiful features Kim! I doubt I will come up with anything to WOW you with this week since I am just getting things back to normal after our crazy snowstorm/power outage/kids off from school fiasco! But I look forward to checking out all the creativity out there and I thank you for stopping by with your comments! I always see so many great ideas at your party. Thank you so much for hosting. That is a great chair! Love the fabric. Thanks so much for hosting Kim. Late linking up tonight, it was my son's birthday! Thanks so much for hosting this great party filled with so many feasts for the eyes!! Great features, Kim! Thanks so much for hosting ... off to play! Awesome Features Kim! Thanks for hosting another fab party! So many great posts today! Almost glad that I'm sick and husband has recommended that I stay in bed, this morning. I definitely have plenty of reading/link visiting to do! Hey Kim...I don't have anything to link this week..my post was on All Saints Day. fabulous chair with the red trim! thanks for hosting. Great features Kim....love that red toile sofa!! Thanks so much for hosting! Can't wait to see what everyone links up! Terrific features! That settee is just adorable! A little girl's dream! Thanks for sharing and for hosting this party each week. Another wonderful party, Kim. Thanks so much for hosting. Hi Kim, Thanks for being such a gracious hostess. Oh Kim thank you so much for the feature. When my MIL was getting rid of that sofa I snapped it up so fast. It is my favorite cozy spot now. Thanks again and for hosting your party each week. Thanks for hosting. A great opportunity to read new blogs and see some great projects. Hope you have a great rest of the week. Now that I have some time, I'm off to check out all the great links this week. OH MY.., THIS IS REALLY FABULOUS! This week's, 'Wow Us Wenesday' has been fun; so many fabulous blog links! Hi, Kim. I shared an Italian sausage and peppers recipe today. Thank you for hosting us again! Have a great week. Thanks for hosting this great party! I love visiting all the blogs and seeing those you've featured! Great features, I LOVE that little pink couch. Wish I could find something like that for my little one. I love the jute pumpkins! I think maybe I could even do those! Everything is always so impressive! Kim, dear, thank you so much for featuring Bella Vista. How thoughtful of you! I am just swamped this week but surely will be joining you next week. Thanks for hosting. Gorgeous blog and great party. Great features this week and thanks so much for hosting us! Thank you so much for hosting the party. I hope you don't mind that I linked to a Halloween post of mine. I sort of liked my bird bath pumpkin and it's only two days past Halloween, right? I promise to move on to Thanksgiving now! Lovely featured blogs. Halloween is now over. It's time for November decor and soon, Christmas. Thank you Kim for sharing and hosting all the goodness ! Love, love, love the red toile sofa! Hi Kim, thanks for hosting such a great party.